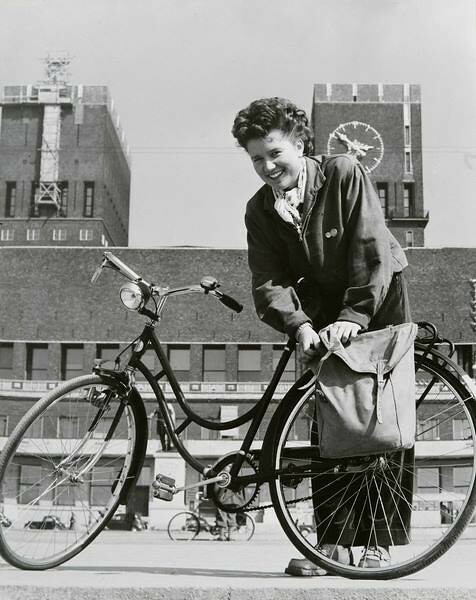 A new article in our Subversive Bicycle Photo Series. 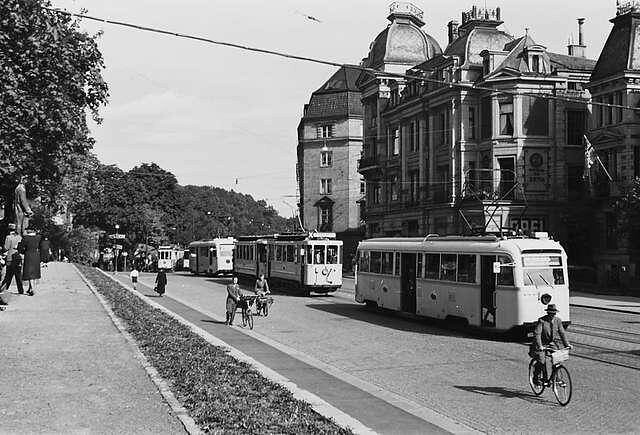 Images of cities back when the bicycle was a normal transport form - as it was everywhere for decades. 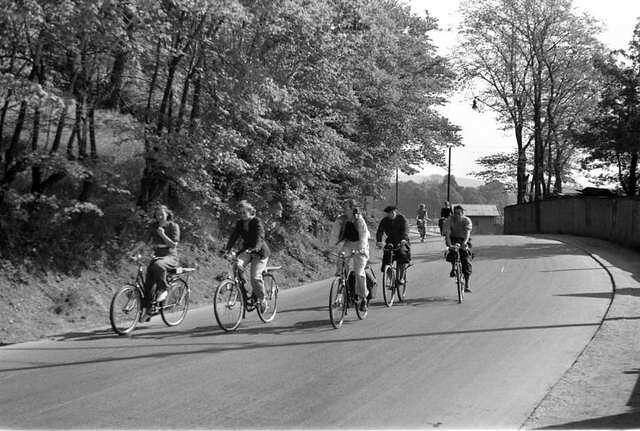 Subversive because if news got out that our bicycle history was long and well-established... well, then... The 99% might start doing it again. Lord knows THAT would be a catastrophe. So keep this to yourself. The good people at the City of Oslo's Sykkelprosjektet (The Bicycle Project) - which is effectively Oslo's bicycle office - understand one of the main challenges facing us when trying to reestablish the bicycle as transport in our cities. The short-term memory of humans. Everywhere I travel with my work I hear the same thing - often from people who should know better. That urban cycling isn't possible "here". The usual myths about climate/topography are mentioned (and promptly busted) but also tales of how they have "never cycled here". 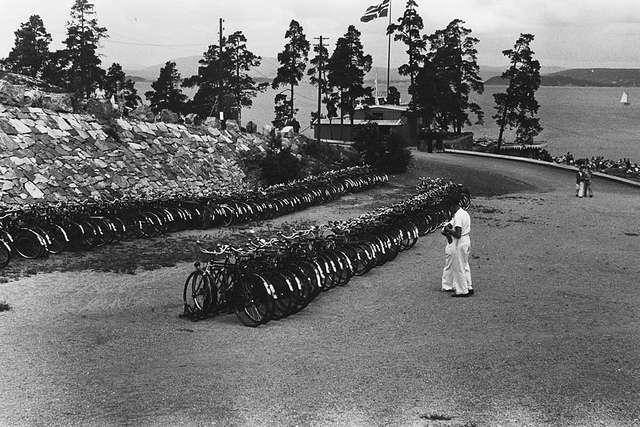 Luckily, intrepid followers of this blog started to delve into the local photo archives and a great many photos have been harvested and presented in this series from all over the world. Now it's time for Oslo. 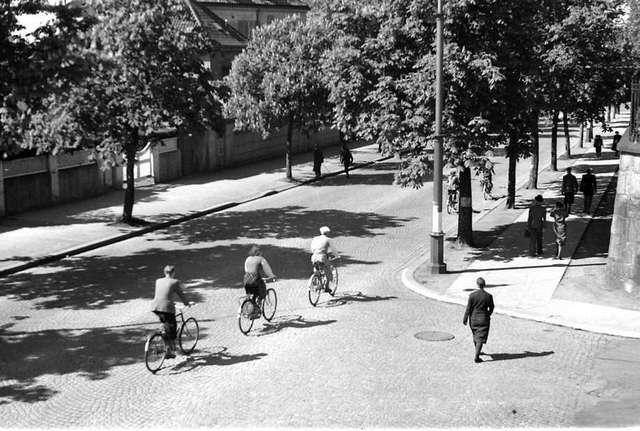 Sykkelprosjektet found some photos in the archives of two museums and put them on their Facebook group. 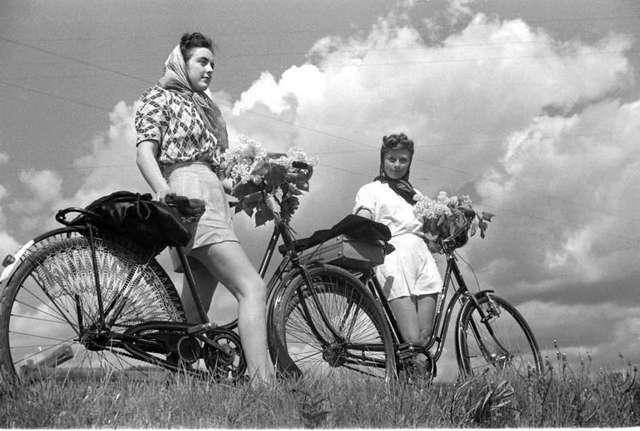 Cycling. A normal transport form in the Norwegian capital. For decades. On regular bicycles. Don't tell Captain Spandex and his crew, let alone the car lobby. And to think the City is actual throwing money at e-bike subsidies, but totally and completely ignoring the kind of bicycle that served the city for almost a century. Wasting taxpayer money on putting more motorised vechicles on the streets is rather ridiculous. But let's let these photos from a rational, intelligent age speak for themselves, shall we? 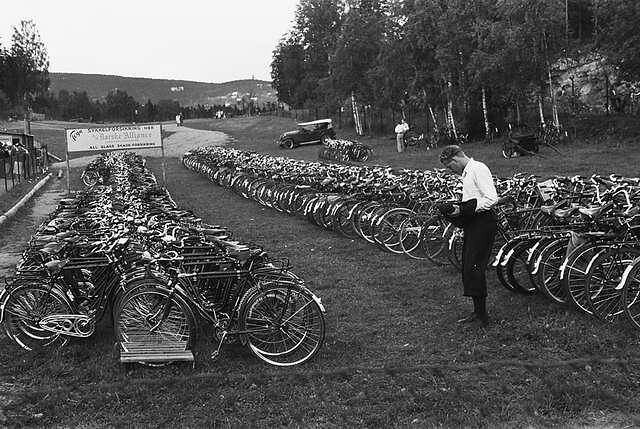 Bike Parking at the horse races in Bærum. Bike parking at a beach near the city. 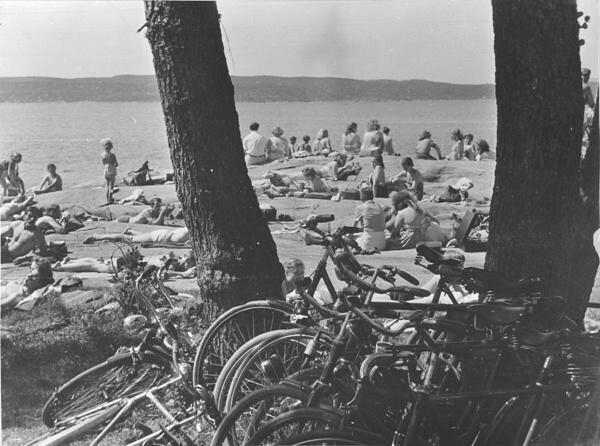 Bike parking at another beach near the city. Just a normal bike and a regular citizen outside City Hall. Great skirtguards. Normal thing all over the world back then. 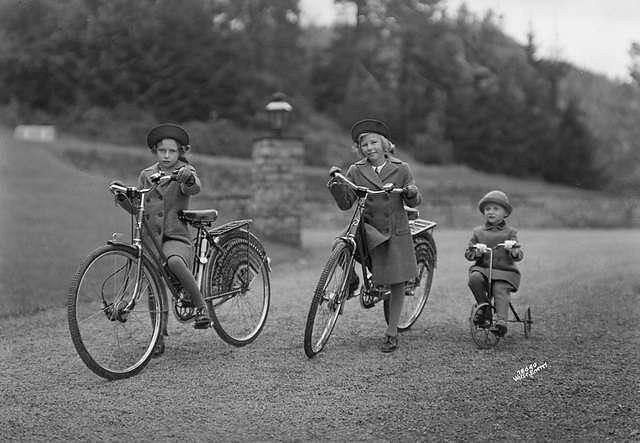 Three mini royals on wheels.